Two women who filmed themselves using anti-Muslim slurs and taking items from an Arizona mosque could wind up avoiding jail after the elected county attorney has gotten directly involved in ongoing plea deal negotiations. One expert who spoke to the Southern Poverty Law Center this week said it’s “extremely unusual” to see the county attorney take such a special interest in this type of case, and said he couldn’t remember a time it’s happened in the past 30 years. Police arrested Gonzales and Dauenhauer in March after they posted a video live to Facebook showing themselves walking past a “no trespassing” sign and onto the grounds of the Islamic Community Center of Tempe with three of Gonzales’ children in tow. The women could be seen in the video encouraging the children to use anti-Muslim slurs and to help remove leaflets and other items, including what they said was a Quran, from the mosque. At one point, Gonzales could also be heard yelling slurs at a man who walked out of a building. 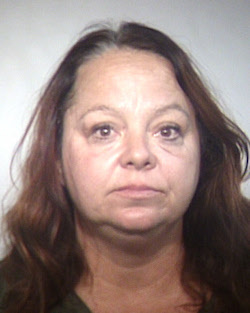 Maricopa County Attorney Bill Mongtomery's office charged the women each with two felonies — burglary and aggravated criminal damage. 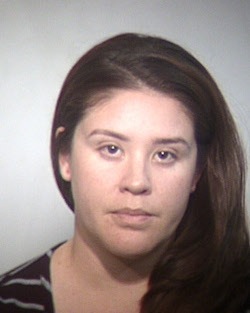 Gonzales was also hit with three child endangerment charges and one disorderly conduct charge, all misdemeanors. Both women pleaded not guilty. Their trial is scheduled for Sept. 4 in Maricopa County Superior Court, but the case likely won’t make it that far. At a hearing on Thursday, July 12, one of Gonzales’ attorneys, Andrew Marcantel, told the judge they were negotiating directly with Montgomery to come up with an “outside-of-the-box resolution” rather than go to trial. He told Judge Mark Brain they expected to have an update within 30 days. Another of Gonzales’ defense attorneys, Marc Victor, said in an interview this week he’s confident the resolution will include no jail time for his client. He also said Montgomery’s office has reached out to the mosque and that discussions are underway to hold a meeting with some of its members. He said that meeting could include Montgomery and may be held publicly, although the details haven't been finalized. Victor also asked that the Southern Poverty Law Center delay publication of this article, a request which was declined. Representatives from the mosque did not return a call or email this week seeking comment. Dauenhauer's attorney, Mark Mendoza, also did not return multiple calls for comment. The judge has already agreed to allow Gonzales and Dauenhauer to have contact with members of the mosque as long as Montgomery or one of his deputies is present. Another question now at play is whether prosecutors intend to ask for a hate crimes enhancement as part of the sentencing of Gonzales and Dauenhauer in any plea agreement. There are no hate crimes charges under Arizona law, but prosecutors can ask for sentences to be increased if the crime is motivated by hate. One thing is clear, however: It’s rare for the county attorney to be directly involved in these types of negotiations. One of Arizona’s best-known defense attorneys, Michael V. Black, told the SPLC he couldn’t name a time when any defense attorney had dealt directly with Maricopa County’s elected attorney in a case. Black is not involved in the mosque case and spoke merely as an observer. A typical plea negotiation, Black noted, is handled by a deputy prosecutor who runs any potential deal up the chain of command for approval. The Maricopa County Atttorney's Office, which handles cases in Phoenix and its surrounding suburbs, is one of the largest prosecuting agencies in the nation with more than 900 full-time employees, according to its website. Victor acknowledged the process in this case has been unusual, but he said it’s not the first time he’s dealt directly with Montgomery. “Bill and I know each other, so in certain cases, under certain circumstances, I’ll talk to him about the case,” Victor said. He said he’s known Montgomery for “many years,” and that the two first met during a one-on-one debate at Arizona State University about whether to legalize marijuana. YouTube videos as well as a post on a now-defunct blog belonging to Victor shows the two of them debated in September 2011 at an event put on by The Federalist Society at ASU. Victor considers himself an “anarcho-capitalist,” which he says is the same thing as being libertarian, although many libertarians would place that categorization on the far-right fringe of their movement. As part of those beliefs, Victor has been a longtime advocate of marijuana legalization. Montgomery, on the other hand, is a conservative Republican who opposes legalization. The two of them have debated the issue publicly on at least two occasions. Given that the mosque case received national and international attention, Victor said he thought Montgomery might play ball. Victor later clarified that he had not approached or been in contact with members of the mosque, and that, as a defense attorney, he is not allowed to contact the victims in the case. 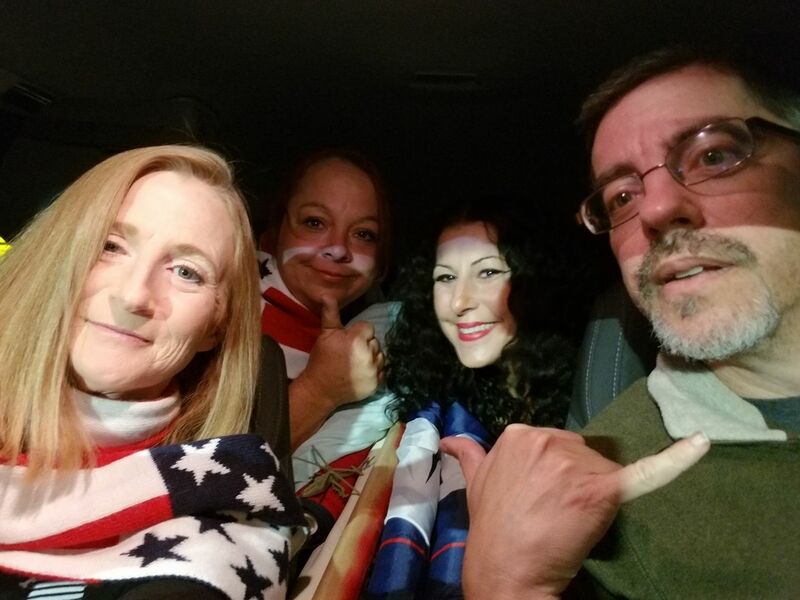 Patriot Movement AZ leaders Lesa Antone, Jennifer Harrison and Russell "RJ" Jaffe, along with Elizabeth Dauenhauer (second from left), in a photo posted to Facebook in December 2017. One of the reasons he cited was the fact that the SPLC had designated Alliance Defending Freedom (ADF) as a hate group. ADF, which is based in Arizona, has sought to recriminalize homosexuality in the U.S. and criminalize it abroad. It has also attempted to link homosexuality with pedophilia and promoted the conspiracy theory of the “homosexual agenda,” which claims that the LGBT community's struggle for equality is in fact a ploy to indoctrinate children and destroy Christianity. Pressed specifically on the mosque case, though, he eventually offered a no-comment. “I’m not going to comment at this time because we’re actively prosecuting the case,” Montgomery said. Victor said Gonzales has changed for the better since her arrest. Victor said he hadn't had any contact, as far as he knew, with members of Patriot Movement AZ and didn't know any details of his client's history with the group. The imam of the mosque, however, said at the time he had “mixed emotions” about the arrests.